The nurses at The Firs in Kelsall are an integral part of the team. Many people are unaware of what a vet nurse does, as they spend much of their time behind the scenes. But did you know that nurses can be anything from dentists, midwives, radiographers, anaesthetists, phlebotomists to first aiders, lab technicians, bereavement counsellors and much, much more. One very important role the nurses play at The Firs Veterinary Surgery is to offer nurse clinics for your pet. 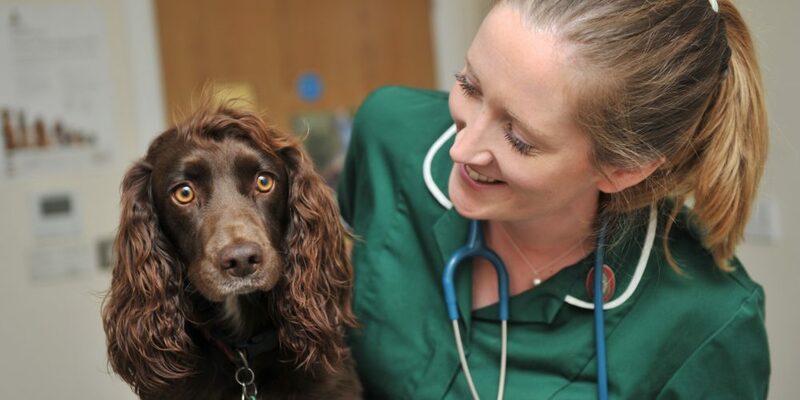 Our nurses have a wealth of information and advice about animal health and well-being, so we want you to benefit. Call us now on 01829 751500 to book. Weigh & Worm – welcoming a new puppy or kitten to your family can be an exciting time, but also an overwhelming one. On your first trip to the vet, there will be a lot of information to digest. We, therefore, invite you back for monthly appointments with our nurse to cover important aspects of puppy and kitten care including, socialisation, nutrition, preventative health care and neutering. Our nurse will also use this opportunity to weigh your new pet and ensure they are up to date with parasite protection. Weight Clinics – Just like us, pets can sometimes start to gain a few extra pounds. At The Firs, we are committed to fighting the pet bulge, and understand that education is the key. Our nurses can help you to understand everything to do with pet weight, from why they gain and what a body condition score is, to helpful advice and tips on how you can maintain your pets ideal weight. Dental Advice – Our pets need our help sometimes, especially when it comes to dental care. The nurses at The Firs Veterinary Surgery provide excellent free dental clinics to teach you all about oral health and hygiene to help you keep your pets gnashers in tip-top condition. Worming and Flea Advice – Just the thought of fleas, ticks and worms leaves most owners feeling itchy and squirmy. But with parasites on the rise and a whole host of treatment options available our nurses can help find the best strategy for you and your family. Senior Pet Clinics – come along for an appointment with our nurses who can offer helpful advice and information as your pet matures.